Improved Sonographer Comfort - Closer Patient Access. 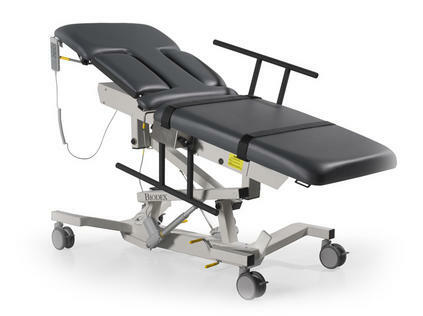 The Echo Pro™ Echocardiography Table is engineered with the sonographer in mind. The ergonomic design provides a barrier-free imaging experience, resulting in less sonographer injury and better quality images. 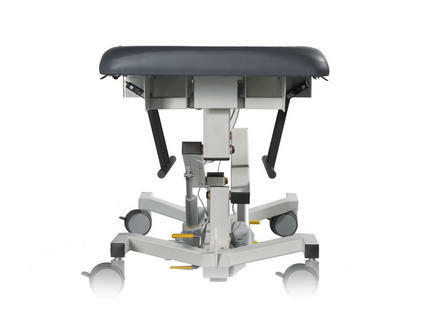 The table's features make it easier for the sonographer to access the patient from all sides. 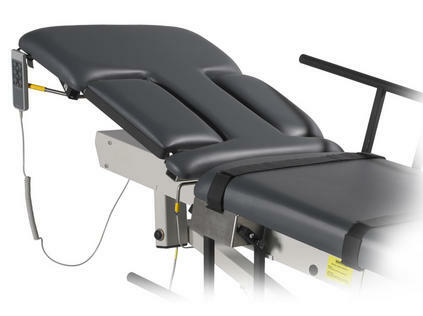 The cardiac scanning cushion drops down and releases from either side of the table. The sonographer has open access to the left thorax area for an unobstructed apical approach. 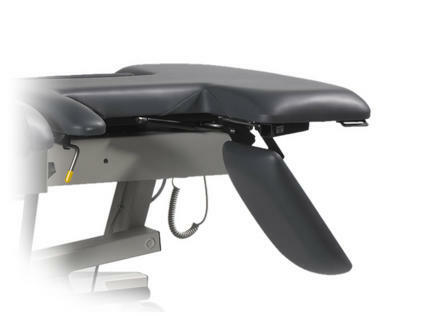 Side rails mount flush to the table and fold completely beneath the table when not in use. Patient comfort is assured even during lengthy procedures with our Naugahyde® antimicrobial mattress cover. Add options such as an Articulating Scanning Arm Board or Headrest for easier thyroid and carotid access to configure the Echo Pro to fit your department needs. No. 601.1.M90 and EN60601-1 standards.